I’m always looking out for new gym wear – I may be a little addicted but there are far worse things I could be addicted to, so it’s all good. I was recently sent a pair of the CW-X Conditioning Wear Stabilyx Tights and initially wondered what all the fuss was about as they claimed to support your joints and I couldn’t quite accept that a pair of leggings could really make a difference. When I ordered them I was advised to get the perfect fit and when they arrived I actually felt like I was pulling on a pair of tights as they were much more fitted than most of the leggings I own – I guess that’s why they’re called tights, not leggings. Everything felt sucked in (which was a nice bonus) and as I moved I actually felt like my knees were much more supported than in any other clothing I wear. I dislocated my knee many years ago and occasionally have issues with it so figured I’d try a legs workout while wearing the leggings (sorry, but it doesn’t feel right saying tights as I don’t want you all to think I went to the gym wearing actual tights). Normally, when I do lunges my ‘bad knee’ does a little kind of twerk but I managed three sets of walking lunges with no problems. 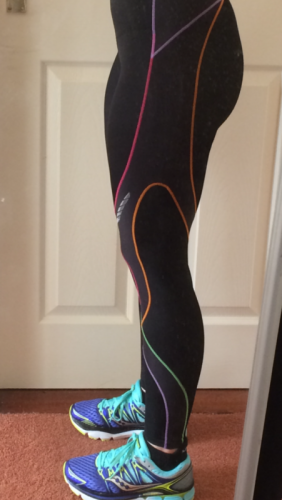 I felt like the leggings were holding me together…and I liked it! The patented CW-X Support Web bands together the muscles and ligaments of the lower leg to stabilize the knee, and for those of you who have lower back or hip problems, they support those areas too – fantastic! 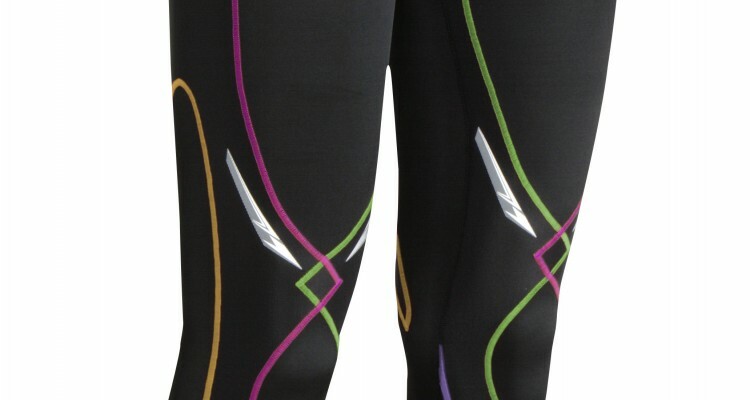 I love the design of these leggings as they’re fairly understated with detailing in exciting colours. There’s a tiny pocket inside the front of the waistband for your house key so you don’t have to worry about where to put that when you go out for your run too. These leggings aren’t cheap at £99.99 but they really are worth the money if you struggle with stability in your joints while exercising. I highly recommend them, particularly if you feel you could benefit from some added support during your workouts.